I've always had a fascination with photography. As someone who loves wandering through antique stores I would often spend much of my time looking through the old photos (and coming home with a few.). As a student of history I was curious to learn how photographers made these images - especially knowing they weren't using modern tools, dark rooms, or even transportation. 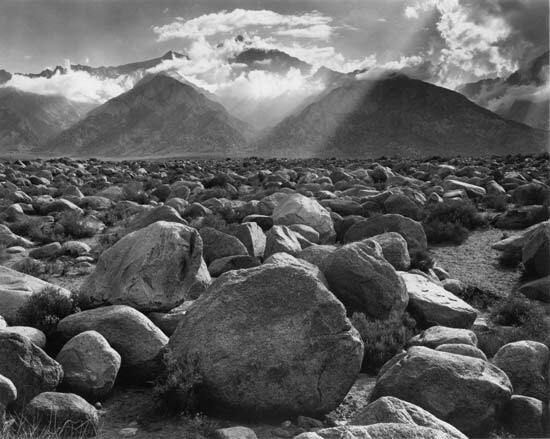 I could imagine Ansel Adams traipsing through the Rocky Mountains with his equipment which included enormous cameras and glass plates, glass bottles of dangerous liquids for making his own emulsions, slide. In that rugged terrain he found a way to create a darkroom, developing the negatives on site, all the while creating some of the most stunning images of nature. His capture of light and shadows...the clarity of the image, no matter the depth...incredible!